Do you have a great business to share with the community? Please contact the office at 313-883-3330 to advertise on our Prosperity Page! 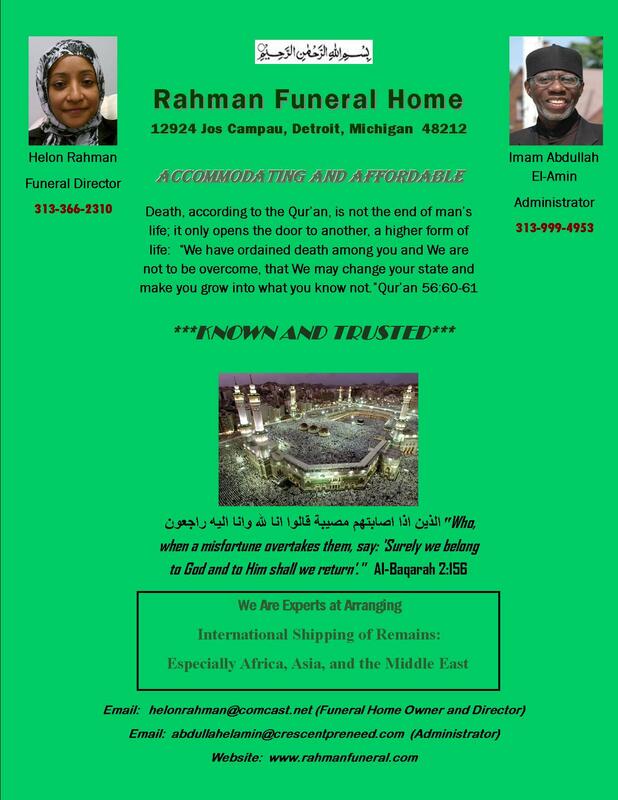 ($40.00/month for business card and $100.00/month for a half page) with circulation on the Muslim Center website that is viewed all over the world and circulated (handcopy) every Friday during Jumah! Enjoy! muslimcenter@ameritech.net. 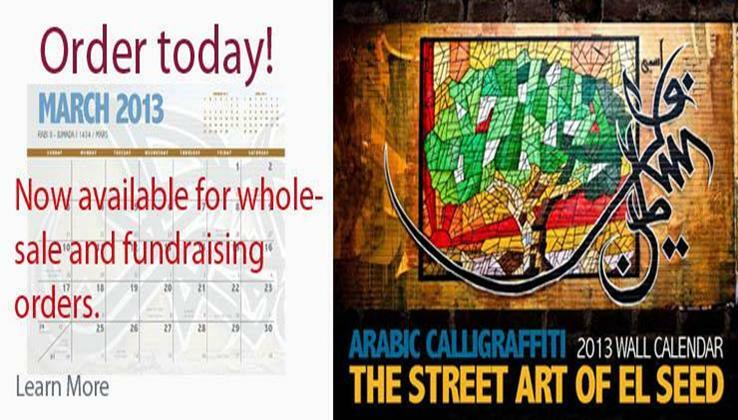 Proceeds from the sale of advertisements go to the Muslim Center fund to create community programs and to continue to serve the Muslim community of Detroit. Deliveries to the Muslim Center Everyday! Text us at 313-598-9519 to get a menu! Order your 2013 Calendar Today! Contact Sis. Zarinah 313-377-2857 or the office at 313-883-3330. Purchase individual or as a fundraiser by the box! Your donation goes to the 10,000 girls organization in Africa.